Le Masurier engages with local charities and form partnerships to make lives better. CSR; to us it’s more than just letters. Our people strategy has a two way focus: 1. Aiding in the case of those who have suffered life changing conditions and supporting families of those affected. 2. Encouraging the Island’s young people to realise their potential through art, sport and competition whilst providing the Le Masurier network to help link them to potential future careers in finance, construction, architecture, engineering to name a few. Protecting what we can when it comes to our environment, Le Masurier seeks to care for the Planet through the application of sustainable measures considering every day work practises through to constructing sustainable buildings.The Le Masurier Partner strategy looks to galvanise the Le Masurier business network to create a signficant ‘Partner Pot’ which could be used to provide the Jersey Marine Conservation Group with a much needed Rib to protect the waters around our Island. We are also in discussions for this ‘Partner Pot’ to also possibly support a resource to resurrect the hugely impactful ‘Shorething’ Primary School Education Programme. The Le Masurier Partner Programme is a new initiative launching in 2018. The Le Masurier 22×5 seeks to engage Le Masurier business partners to donate £5K each providing £115K to fund local projects desperately needing corporate support.The first projects being the vital work of the Jersey Marine Conservation Group and Caring Cooks of Jersey, Flourish Project. Through this innovative project together we can empower children and young people in Jersey to grow, cook and eat healthy food in childhood and beyond – because the health of our children is everyone’s business. 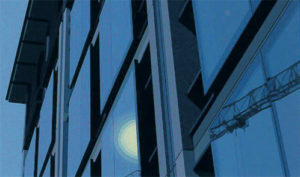 Blank Canvas was a competition created by Le Masurier in partnership with the JCG Foundation. 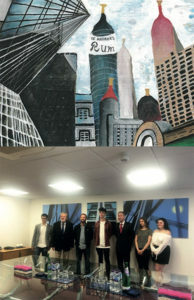 Schools and students had a chance to win a total of £3000 and produce three works of art for the new Le Masurier Headquarters. 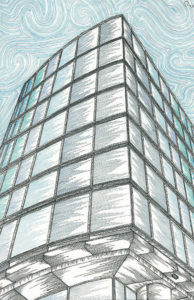 Blank Canvas was conceived when Le Masurier moved to their new head office in Commercial Street. The competition was designed to provide students with a ‘Blank Canvas’ to showcase their work. 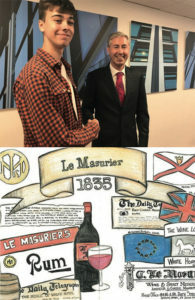 Three categories were introduced: The Le Masurier Heritage, Le Masurier Today and Le Masurier’s Social Impact. Fifty students entered from Hautlieu, Highlands, Haute Valle, JCG and Le Rocquier. The entries surpassed all expectations producing stunning work with the winning students and schools receiving cash prizes to continue their passion for art. Jersey Alzheimer’s Association is a breakaway from the Alzheimer’s Society in the UK. The aim of this breakaway, was to become a local charity, run by local people, for local people. The charity provides help and support to local people living with dementia and their families in a number of ways. 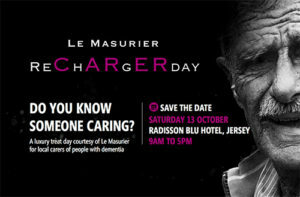 Le Masurier supports Jersey Alzheimer Association by hosting the Le Masurier Recharger Day now in its second year. This delightful day welcomes carers of family members with dementia to recharge and meet other carers. Held at the Radisson Blu Hotel guests enjoy treatments, cocktail making, a visit to the Mansell collection, lunch, entertainment, afternoon tea and go home with a luxury goodie bag to share with the person they care for. 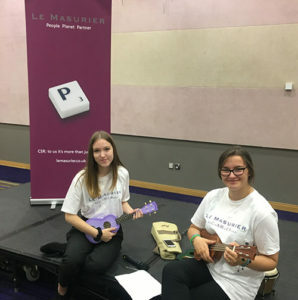 Following the success and wonderful feedback received, the second Le Masurier Recharger Day took place on Saturday 13th October. 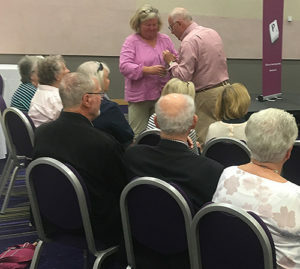 Held again at the Radisson Blu Hotel, guests were welcomed by the JCG Foundation hosts, Le Masurier and Jersey Alzheimers Team for Coffee and Croissants at 9am. Guests then enjoyed pre -booked treatments with 3 local massage and beauty therapists , Barbara, Chloe and Izabela in the Le Masurier Recharger Pop Up Spa, Hair makeovers from Fabriah Salon & Spa, and some enjoyed a VIP trip to the Mansell Museum courtesy of Nigel Mansell and his son, Lee. Returning to the hotel for a cocktail masterclass learning how to make a ‘Le Masurier Mojito’ followed by lunch and a raffle raising £200 for Jersey Alzheimers. Students from Beaulieu, De La Salle, Grouville, JCG and Hautlieu entertained guests before afternoon tea! 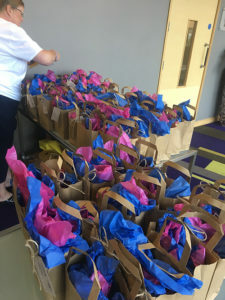 Beautiful goodie bags were kindly sponsored by Rossboroughs for everyone to take home at 5pm to enjoy with the person they care for. The event was well received, and Le Masurier we delighted with the feedback received from carers. 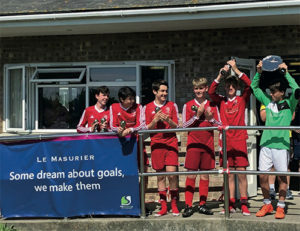 Le Masurier support Lady Taverners, Giving Young People a Sporting Chance in Jersey. Their mission is to enhance the lives of disadvantaged and disabled young people through sport and recreation. In 2017 funds were raised to provide Jersey Sports Association for the Disabled with three bespoke sports wheelchairs. 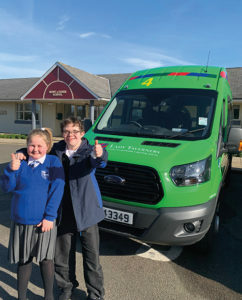 In 2018 with student numbers increasing by 46%, Lady Taverners also funded a much needed state of the art new Mini Bus for Mont A L’Abbe School to ensure all students can get to and from school and take part in their exciting activities every week. 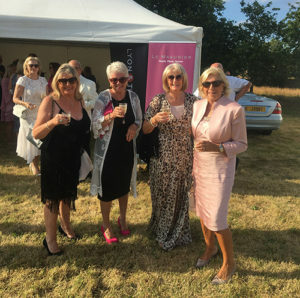 We were delighted to support the Jersey Lady Taverners at Diva Opera held at the beautiful Domaine de Vaux, Jersey in July 2018. Lady Taverners were chosen as Diva’s Gala Charity for 2018 and received £6,000 towards their fund raising for a much needed new minibus (Tav 4) for Mont A L’Abbe School. With student numbers increased by 46%, Tav 4 will ensure all children can travel to school and all their various activities safely and in comfort. Tav 4 will join the fleet of Taverners minibuses and was delivered in December as part of the Lord’s Taverners National Mini Bus Programme! St Clement Sports Club is the most southerly located football club in the British Isles. They are a Standard Chartered Community Club fielding five senior mens teams and junior teams in all representative age groups as well as a thriving Mini’s section. 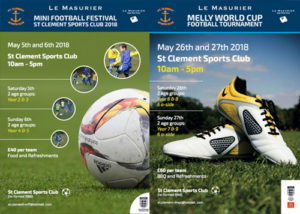 700 Channel Island Children enjoyed the 2018 Le Masurier Mini Football Tournament and Le Masurier Melly World Cup Tournament hosted by St Clement Sports Club. A fantastic two days of honing skills and playing in their teams culminated in every player receiving a medal and goodie bag with a pair of Le Masurier ‘Protecting what we can’ shin pads. Refreshments were provided for the many parents and coaches. Jersey Cheshire Home is the only residential facility for physically disabled adults in Jersey. The charity works to provide care and support to those living with a range of disabilities including Parkinson’s and Stroke victims. The Home relies heavily on donations and has been a partner of Le Masurier for numerous fundraising events. 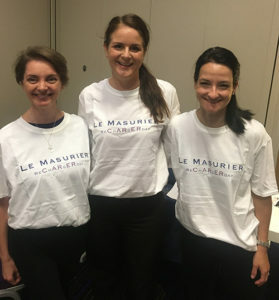 Le Masurier was inaugural and lead sponsor of the Kitchen Inferno event for three consecutive years, raising over £40,000 for Jersey Cheshire Home. The challenge puts 16 novice chefs head-to-head in 2 teams, creating their own menu for 70 guests to sample and rate their dishes. The event has been lucky to receive the input of industry stars, such as Masterchef’s John Torode and Ormer Restaurant’s Michelin Star Chef Shaun Rankin. Brian McCarthy, Managing Director of Le Masurier, took part in a second expedition, this time to the Eastern outpost of the alps, in Slovenia. This trek included the 2,000m accent to Mont Vogel’s summit and on to the Vratka Pass. As part of Jersey Cheshire Home’s 30th Anniversary, a number of fundraising activities were undertaken for the charity. This included the Trek Kerala; a gruelling five day trek in the Kerala region on the south west cost of India. Le Masurier’s Managing Director, Brian McCarthy participated in the trek, taking on the both the personal and physical challenges. The trek saw the teams travelling up through the tea estates, cardamom plantations and paddy fields of South India’s dramatic mountain scenery. Brian’s fundraising amounted to £26,000, with the funds going towards a new lift into the Home for residents. This money made a significant difference to the running of the Home and brought benefits to both the carers and the residence. The Stroke Association is the UK’s leading stroke charity, focusing on what really matters to survivors, their families and carers. The Associations research programme relies on voluntary donations and seeks to provide support to the survivors of this devastating issue. The Stroke Association offer a weekly aqua-therapy class for stroke survivors enabling them to work with a physiotherapist within a warm pool environment at Jersey Cheshire Homes. The group offers a structured exercise programme suited to the needs of each individual stroke survivor whilst in a warm pool environment which fully supports the client reducing the risk of injury. Le Masurier has committed to sponsoring a programme of classes, relieving the burden on the charity. 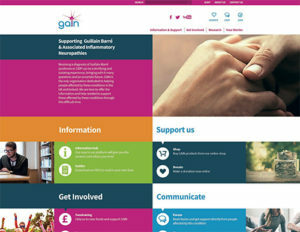 GAIN (Guillain-Barré & Associated Inflammatory Neuropathies) help people living in the UK and Ireland who have been affected by Guillain-Barre syndrome, chronic inflammatory demyelinating polyradiculoneuropathy (CIDP) and other associated inflammatory neuropathies. Le Masurier heard about GAIN in early 2017. As a rare and little known disease, GAIN is on a mission to raise awareness within the medical profession and the public. Their aim is to improve outcomes by facilitating earlier diagnosis in sufferers. GAIN have a campaign to raise their profile and Le Masurier supported them by funding a brand refresh and website transformation to give them a much needed update. ACES Marketing worked with Le Masurier on their branding and website and are now working with GAIN on this project. It is particularly pertinent for them as one of the ACES directors has personal experience of Guillain-Barre syndrome, having seen a close family member suffer this debilitating illness in 2016.